We have been in our historical home for over eight years – and sometimes it just seems to take forever to get something finished. 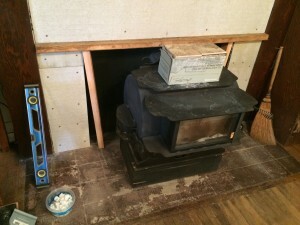 So it has been with the fireplace – but with good reason. 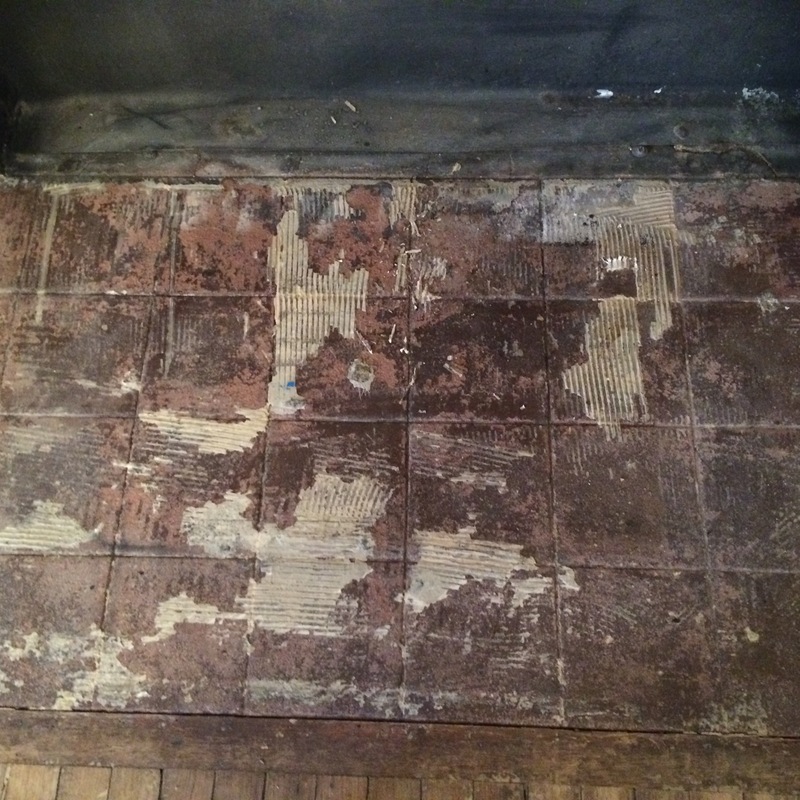 The hearth is original – yes original from when the house was built in 1906 – and I wanted to preserve and refurbish the tile. 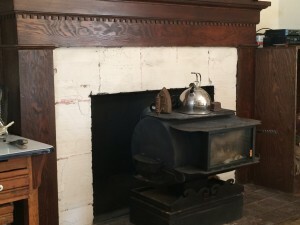 But in order to finish the face of the fireplace I needed to find something that would look somewhat original to the date of the house. In the 70’s a previous owner had covered the face of the fireplace and the hearth with large 12″ square pink tiles – yes pink!! 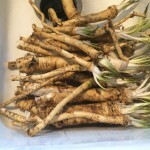 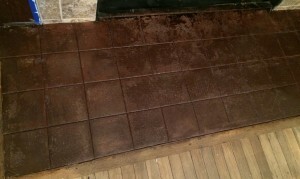 I had removed those when we first moved in and then this project fell by the wayside when others seemed more pressing. 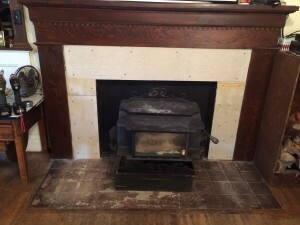 This last fall we found what we felt would be perfect and began – first we needed to build up the face about 1/4″ – so we applied cement backer board to the face of the fireplace. 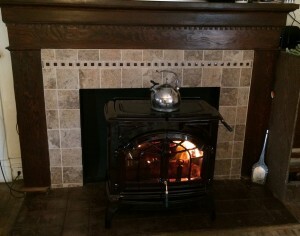 We found and ordered the new stove and wanted the tiling done so the new stove could be installed upon arrival. 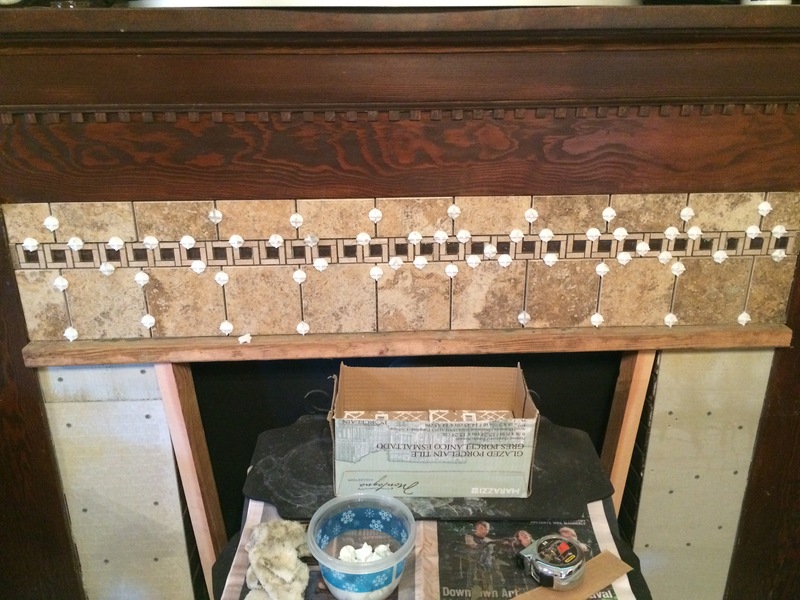 I began the process of tiling the front of the fireplace. This is always a two person job as far as we are concerned. 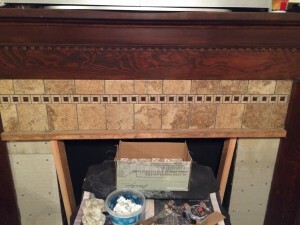 My husband has become quite good with the tile saw and I have learned tiling by hit and miss and DIY videos! 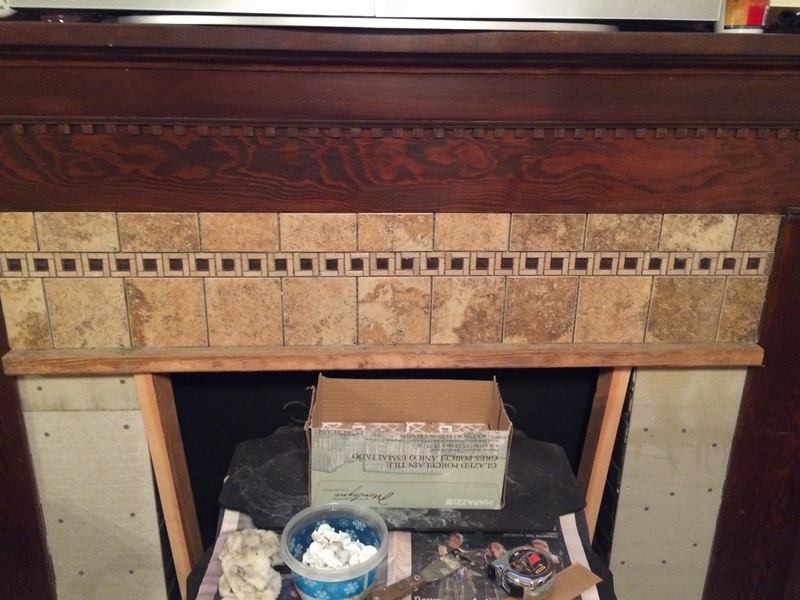 We are very pleased with the outcome – using the small 4 x 4 tile for the main pieces of the job and then the trim piece with the dark brown accent pieces was just what we needed. 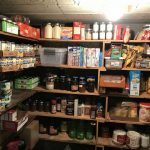 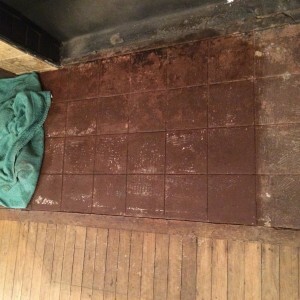 The process was easy and with the fairly small area to cover did not take but just two work periods. Once the front was finished as you see above, we removed the old stove so we could work on the hearth – the true reason for all this work!! 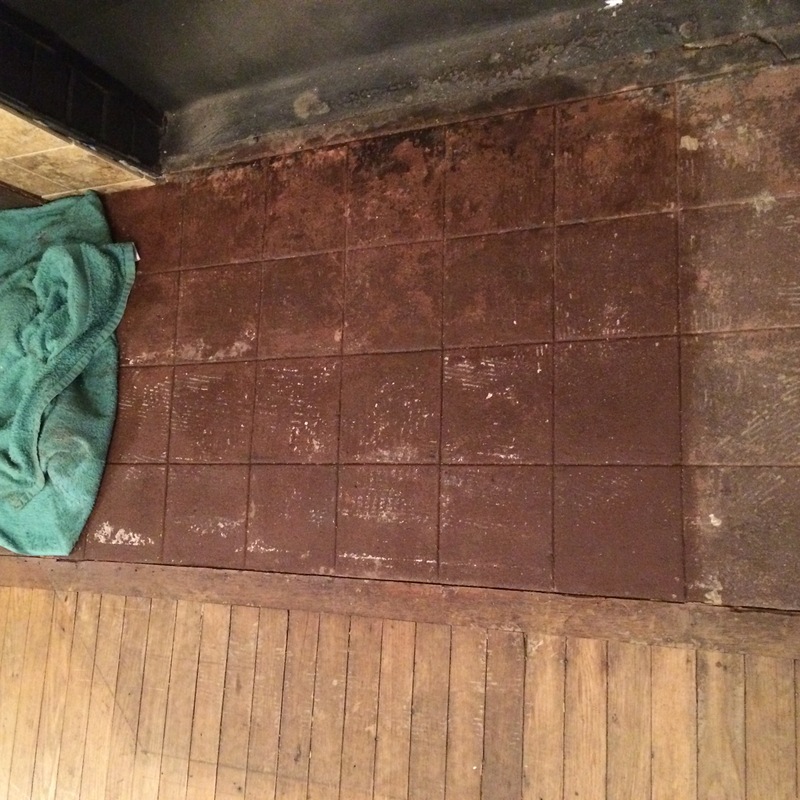 As you can see, we had our work cut out for us. All the old glue and adhesive that had been used to adhere that awful pink tile to the floor was still on our original heath and it had to come off. 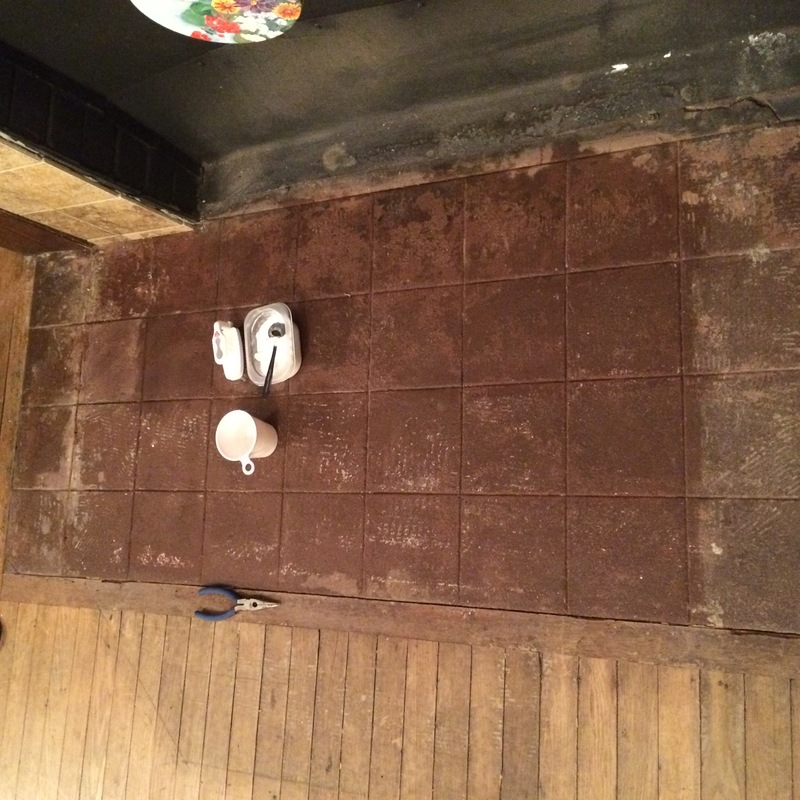 We used the hot towel process and then scrubbed the hearth down with white vinegar and baking soda ( a little home-made fizzy cleaner!) 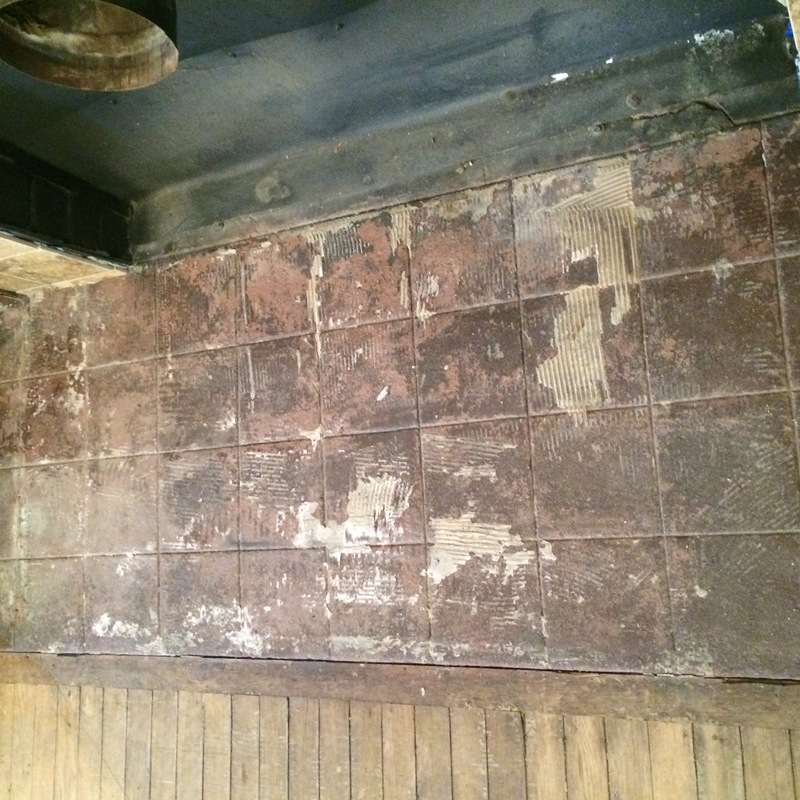 Good hard physical labor was the best way to clean and refurbish this beautiful old tile hearth! I applied two light coats of a brick/cement water sealer to the hearth and allowed it dry thoroughly before installing the new stove. 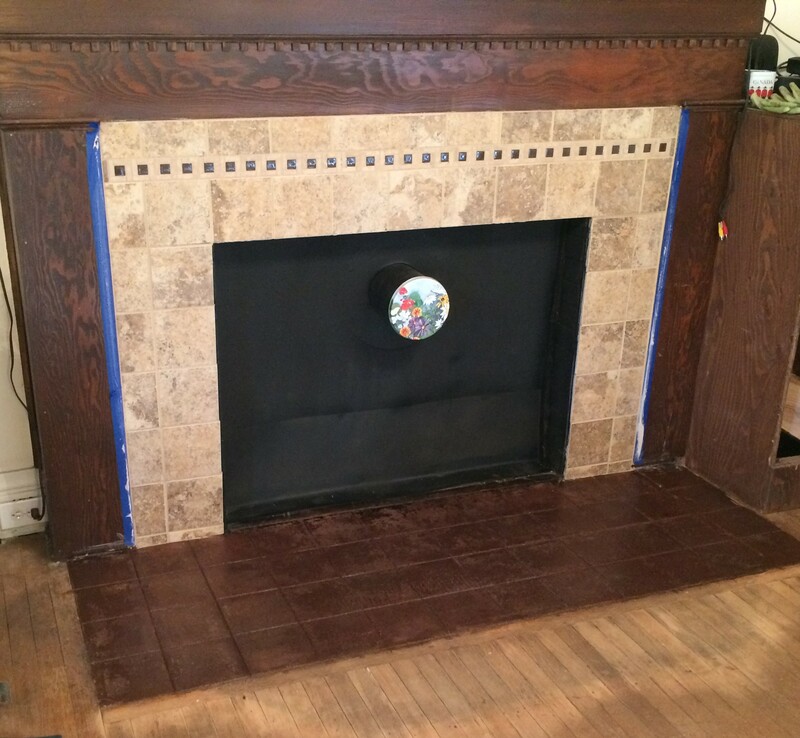 The front of the hearth was grouted, the metal insert was repainted and the fireplace was ready for the new stove. This is our beautiful little porcelain finished Quadra Fire stove – already to heat our old home. 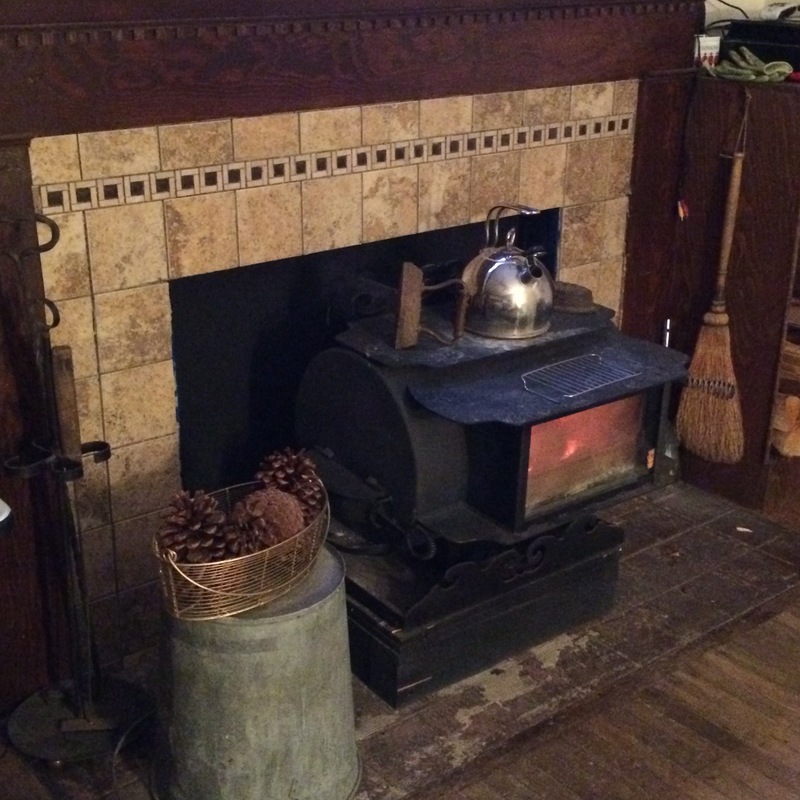 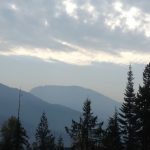 With the new face and the old hearth redone and the new stove – we are toasty warm for the winter.